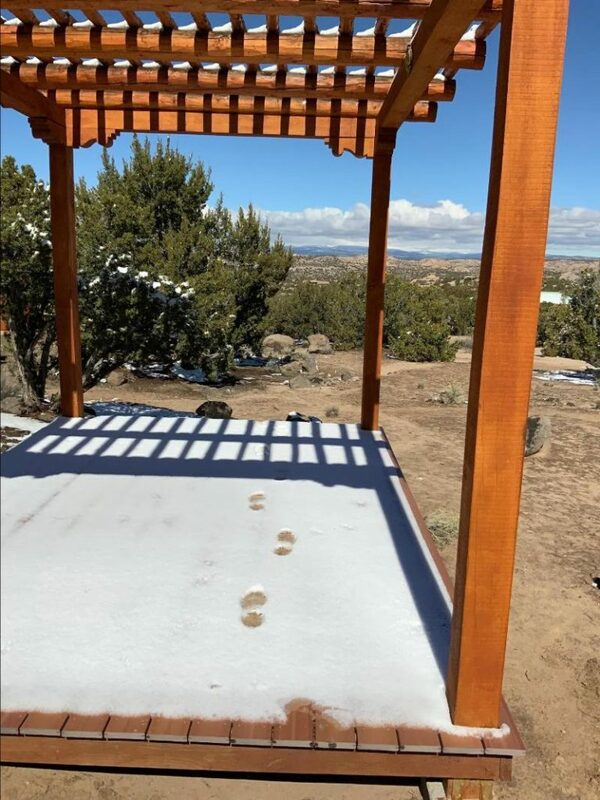 Our meditation and Yoga platform overlooking the mountains. A fresh snow. The only thing I brought with me – my ability to walk. Shoes in the snow. Walking into the beauty.